Lou and Julie Melini grinding their way up the Midway - Guardsman Pass section. 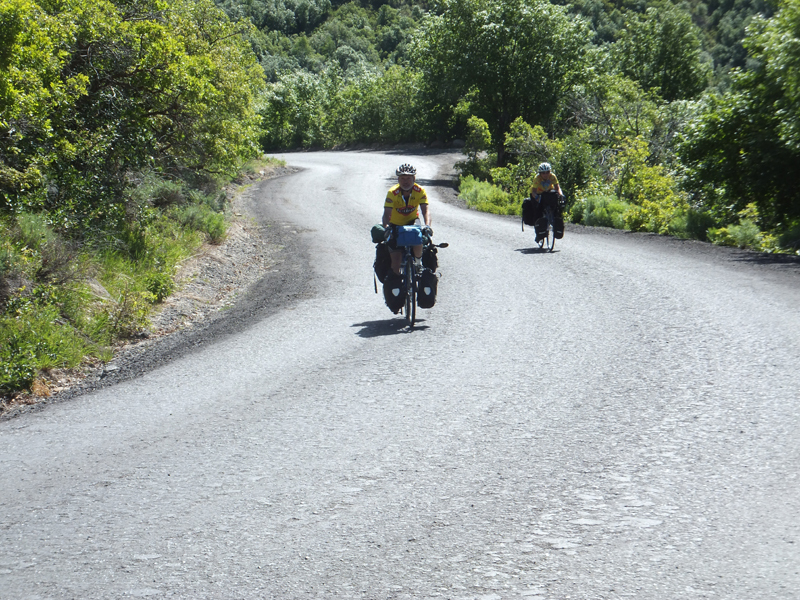 This 8 mile section of road averaged 14% grades, with three very steep turns that even the most fit bike tourer had to bike-hike the corners. Photos by Angie Vincent.